CEDAR CITY — Three candidates are vying for the open seat in Utah’s House District 72, as incumbent John R. Westwood, a Republican who has served for four years, is not seeking re-election. 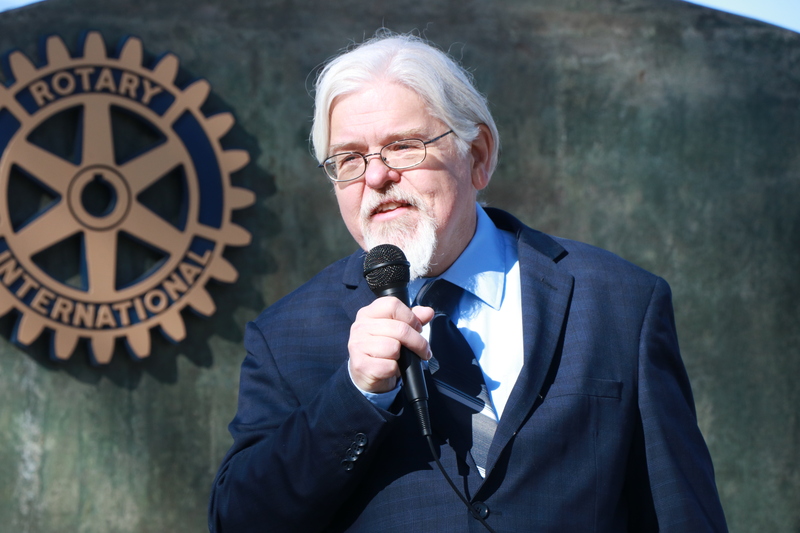 The three candidates are Democratic candidate Zeno Parry, Republican candidate Rex Shipp and Libertarian Party candidate Barry Short. 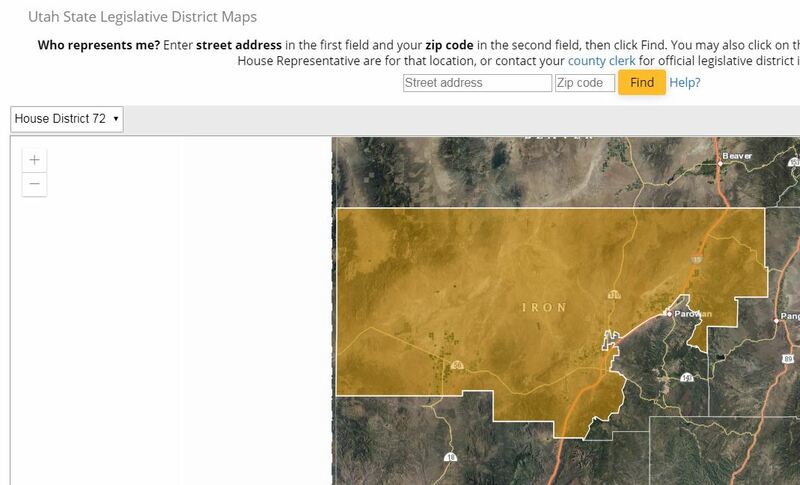 House District 72 covers most of Iron County, with the exception of the southeast portion (click here for map). Cedar City News recently presented the candidates with a short series of questions in order to find out more about them and their objectives. Their respective answers to the three questions are included below. 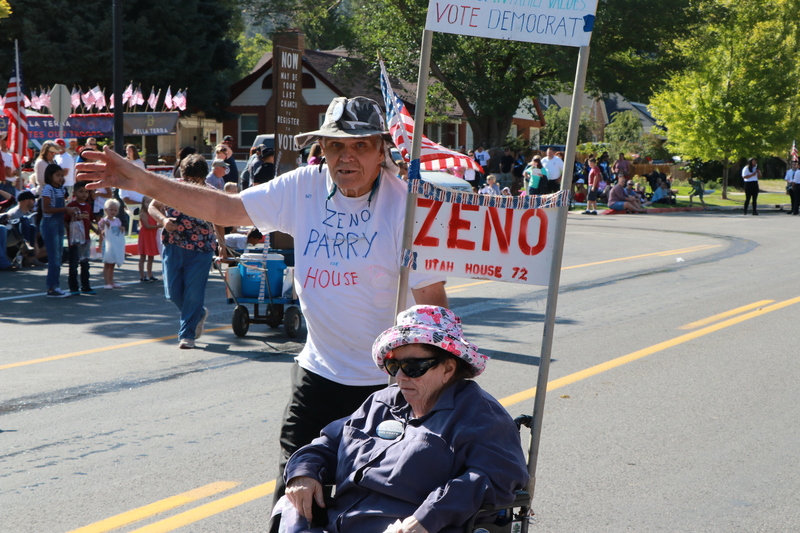 Democratic candidate Zeno Parry lives in Cedar City and has been involved with Iron County Democrats for many years, although this is his first attempt to run for public office. Parry said with regards to the issue of medical marijuana, he would work to make sure it would only be used to treat sick patients, as prescribed by a doctor. Parry said while all three issues are important, he believes education requires the most attention. “I know a lot of teachers use their own money for kids’ books, notebooks and stuff like that,” he said. However, Parry said that increased education funding should be directed toward boosting the starting salaries for teachers and not to administration. “When they say they need more money for schools, and it goes to more administrator jobs, that isn’t right,” he said. Parry says one of his most embarrassing moments happened when he was serving as a military police officer in the U.S. Army in the 1960s. Although he didn’t actually finish the rhyme – or at least a version of the rhyme that has since gone by the wayside – he said the racial implications of it earned him “the biggest dressing-down” from his supervisor later. “I learned to respect all races,” he said. 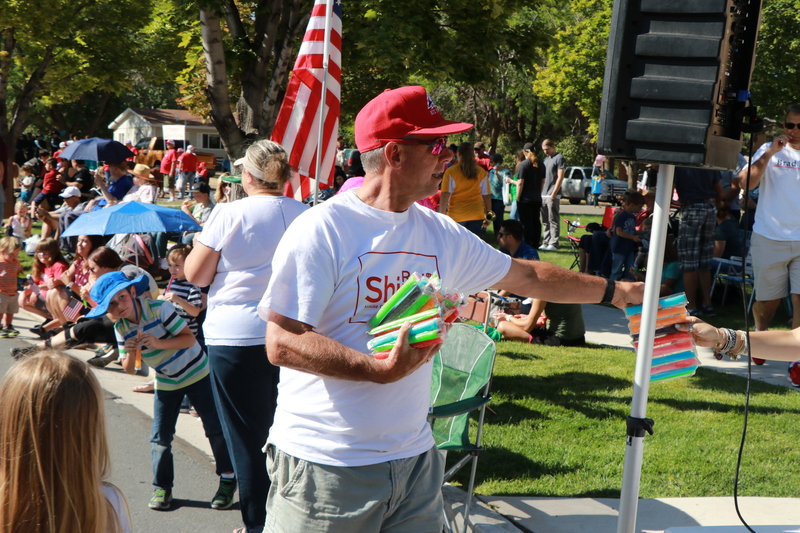 Republican candidate Rex Shipp, a financial advisor and business owner, lives in Cedar City with his wife, Stacia, whom he met while they were attending Southern Utah State College some 40 years ago. Married since 1979, the Shipps have seven children. Shipp said he would address issues involving taxes and worker’s compensation. Shipp said he is also concerned about requiring workers compensation to be paid on minor children that work in a parent’s business. “I don’t think that is necessary and is hard on someone that is trying to make a living in a small business,” he said. Shipp also emphasized the importance of education, for students in K-12 and beyond. Shipp said one of his most memorable embarrassing moments dates back to when he a senior at South Sevier High School in Monroe. Shipp said he initially thought it was really nice of the South Sevier cheerleaders to do that for the team. Shipp said about a half hour later, he got a phone call from a teammate asking if he’d received any cupcakes. Nevertheless, Shipp said the incident didn’t stop him from playing in the baseball game the following day. Libertarian candidate Barry Short lives in Cedar City with his wife, artist Theresa Mather, and two cats, Lenin and Trotsky. He has been a self-employed business owner for almost all of his adult life. He currently serves as vice chair of the Libertarian Party of Utah. Short said he’d first address doing away with the sales tax on unprepared food, such as that purchased at grocery stores. In addition, Short said he would move to restore the reforms to Civil Asset Forfeiture passed overwhelmingly by referendum back in 2000. This situation has led to much dissatisfaction among the taxpaying public, he said. Short said his past involvement as a comic book convention director is one thing that may come as a surprise to those who don’t yet know him well. “I spent a number of years in the 1980s as program director with what was then known as the San Diego Comic Con, now Comic Con International,” he said. “Even the similar event in Salt Lake City has Utah’s Attorney General drafting letters on their behalf,” he said. All three House District 72 candidates are scheduled to appear in a debate Thursday in Cedar City hosted by the Leavitt Center at Southern Utah University, starting at 6 p.m. A public meet-and-greet session will begin at 5:30 p.m. in the Hunter Conference Center, with the debate taking place inside the Great Hall at 6 p.m. The event is also scheduled to include the candidates for for Senate District 28 and House District 71.